Aerosmith’s Steven Tyler and Joe Perry will be honored by the American Society of Composers, Authors and Publishers (ASCAP) with the prestigious ASCAP Founders Award during its 30th annual Pop Music Awards, set for April 17 at the Loews Hollywood Hotel in Los Angeles, California. The ASCAP Founders Award honors pioneering songwriters who have made exceptional contributions to music, inspiring and influencing their fellow music creators. Past recipients include Jackson Browne, Elvis Costello, Billy Joel, Sir Paul McCartney, Joni Mitchell, Patti Smith, Steely Dan, Rod Stewart, Tom Waits, Ann and Nancy Wilson (Heart), Stevie Wonder and Neil Young. "To be recognized by ASCAP with the Founders Award is a huge achievement," commented Tyler. "It is humbling for Joe and me to be honored for our music alongside the likes of Stevie Wonder, Neil Young, Paul McCartney and Joni Mitchell. It's been a life-long love affair and it's far from over. Besides, any society that lets Tom Waits in... I'm there!" "As songwriters,” added Perry, “it is a great honor to have ASCAP recognize Steven and me with the Founders Award. We join an incredible list of honorees and we are grateful to ASCAP for their support throughout our career." The ceremony comes on the eve of the 8th annual ASCAP "I Create Music" EXPO, a three-day conference dedicated to songwriting and composing. 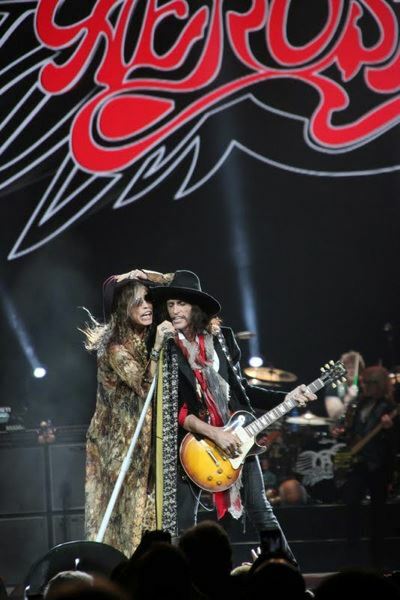 Steven Tyler will also give a keynote interview at the ASCAP EXPO with entertainment news journalist Roger Friedman. The conference will take place April 18-20, 2013 at the Loews Hollywood Hotel, in Los Angeles, California. A wide range of music creator and industry panelists will be announced soon. For more details, visit www.ascap.com/expo.